Join Us at Our Annual Events! The Meridian Society hosts an annual business meeting each fall, as well as numerous social events, including a bi-annual Women’s Philanthropy and Leadership Workshop, An Evening of Jazz: Meridian Awards and Soiree, and our annual signature event The Meridian Derby. The Meridian Derby, our signature event, will be held on Tuesday, May 7. 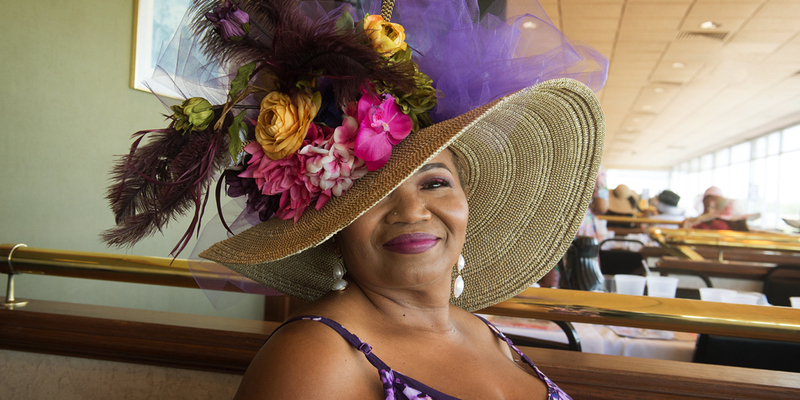 Wear your derby best (hats encouraged!) and celebrate with a luncheon at Fairmount Park Racetrack. An Evening of Jazz is held bi-annually on the third Thursday in April. Participants enjoy a cocktail and hors d’oeuvres reception featuring music from an SIUE student jazz trio, presentation of the Meridian Awards and a festive soiree. At the annual business meeting, which is held the first Thursday in November, participants enjoy a leisurely lunch while listening to a keynote speaker share their philanthropic and leadership experience. Hosted bi-annually on the first Thursday in April, the Women’s Philanthropy and Leadership Workshop engages women through education and inspiration on philanthropic potential. The workshop promises to be an inspirational day for women who want to make a difference in their communities.